Join the Young Birders’ Club! A birding hike series just for kids! 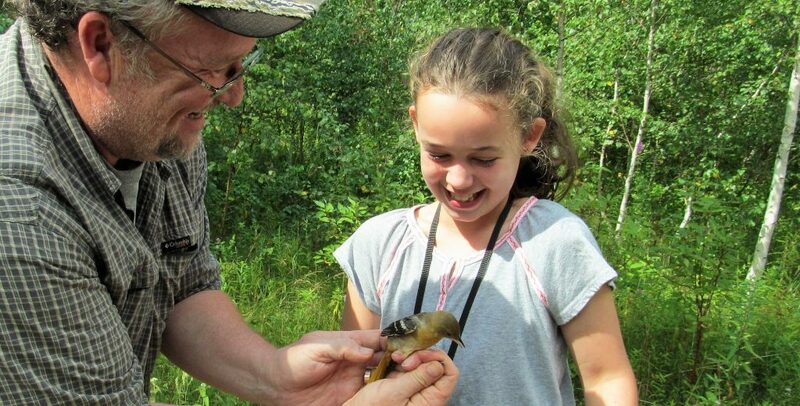 The Young Birders’ Club is an opportunity for youth, aged 9-12, to enjoy birding hikes specifically geared for young people. Our goal is to look for birds at Tommy Thompson Park through the spring migration season, develop our birding skills, and explore the natural world of the park. The club will meet on three occasions (see dates below), and with every meeting, our bird observation and identification skills will improve. Whether you’re a bird beginner or already know a warbler from a wren, come join the club! Binoculars and field guides are provided for the meetings. We encourage Young Birders to attend all three meetings, if possible, however if this isn’t an option, we look forward to having birders present at the meetings you can attend! We will be cycling for two of the meetings. Participants are to bring their own bicycles and helmets. Our meetings will be taking place rain or shine! In cases of heavy rain, our activities will be indoors, in the Staff Booth building of Tommy Thompson Park. In cases of lightning/thunder, we will reschedule our meeting for June 9th.